One thing that over sized people complain about is the difficulty to find clothes of their size, especially stylish ones. 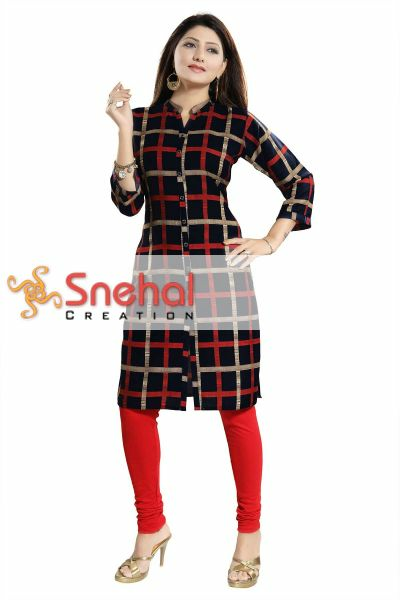 Snehal Creations is happy to announce our plus size tunic collection. We offer tunics up to the size of 3XL and we give special attention to make it stylish. We have plus size tunics in different colors, patterns and styles, making it possible for overweight women to wear clothes of the latest style and make. The reason for the dearth of plus sized clothing is that not many companies manufacture clothes for large sized people. Hence, they find it difficult to find designer clothes for themselves, especially for special occasions. 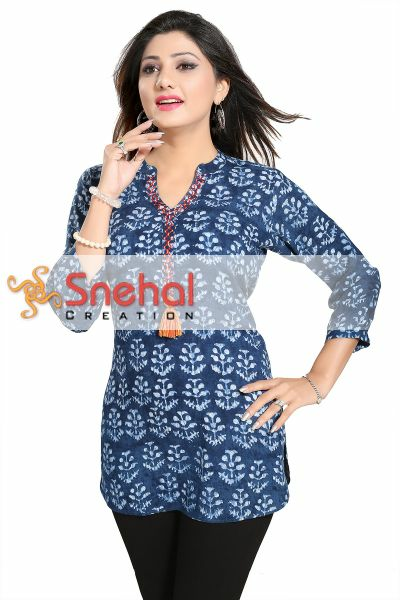 At Snehal Creations, our aim is to create plus size designer kurtis and tunics for different occasions. With us, you no longer have to wear what you find from limited choices. Our plus size collection caters to people of all sizes. 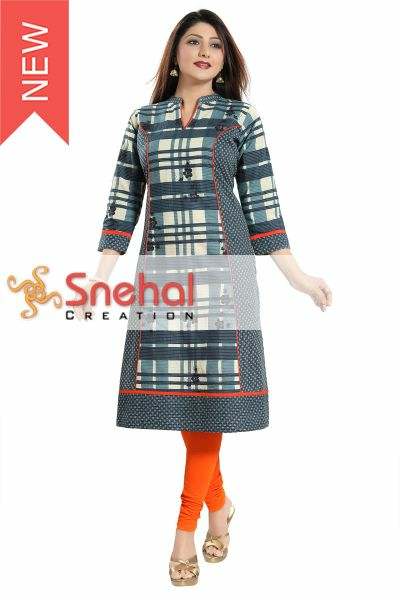 While upto 3XL is what we offer, we also provide bulk orders upto 6X too for our customers. We welcome you to the plus size section on our website. If you are uncomfortable to go to a store to buy clothes for yourself, this is the perfect place to shop from. Once you place the order online, the clothes would be delivered to your home or the address you provided within a few days. 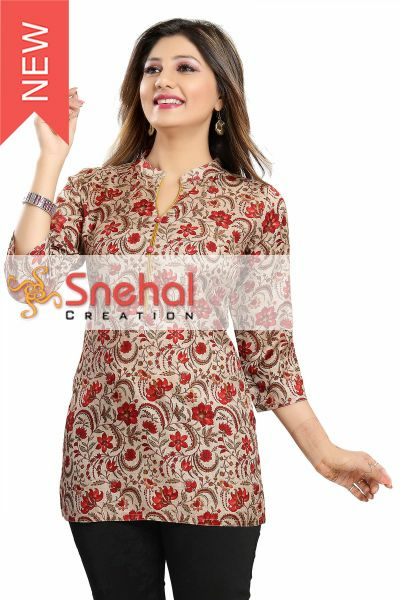 You will find an abundance of kurtis and tunic tops at our website and for the first time you would be spoilt for choice. 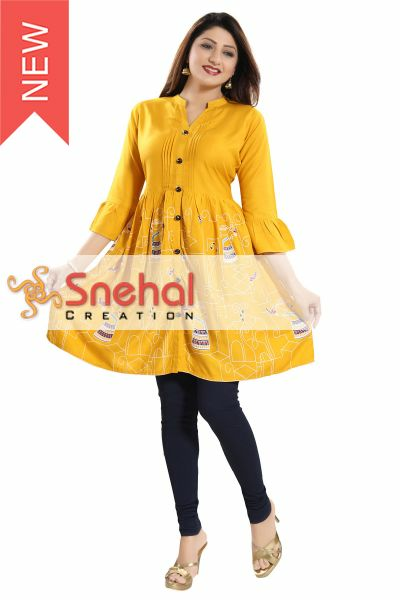 Browse through our plus size collection and add some trendy and fashionable tunics to your wardrobe.